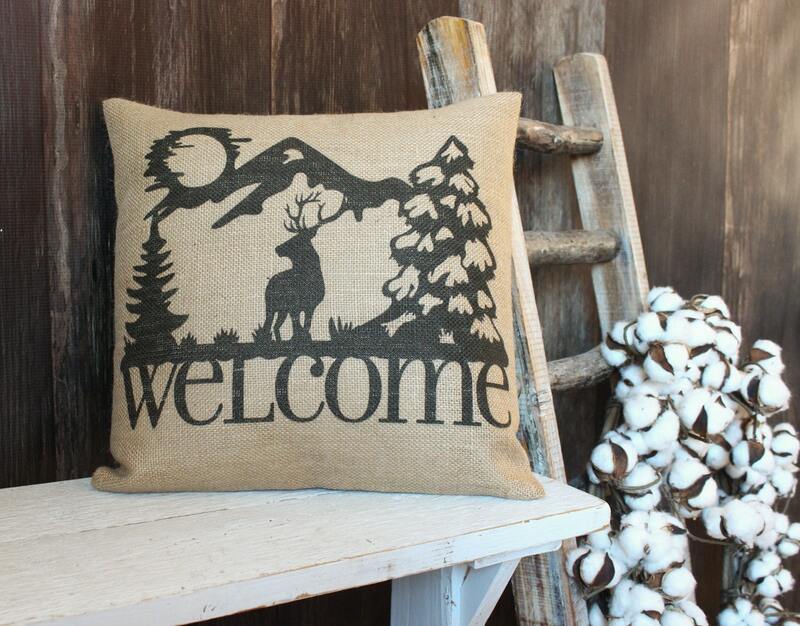 Welcome your guests with rustic, mountain cabin charm on your entryway bench or on the sitting chair next to the fire. 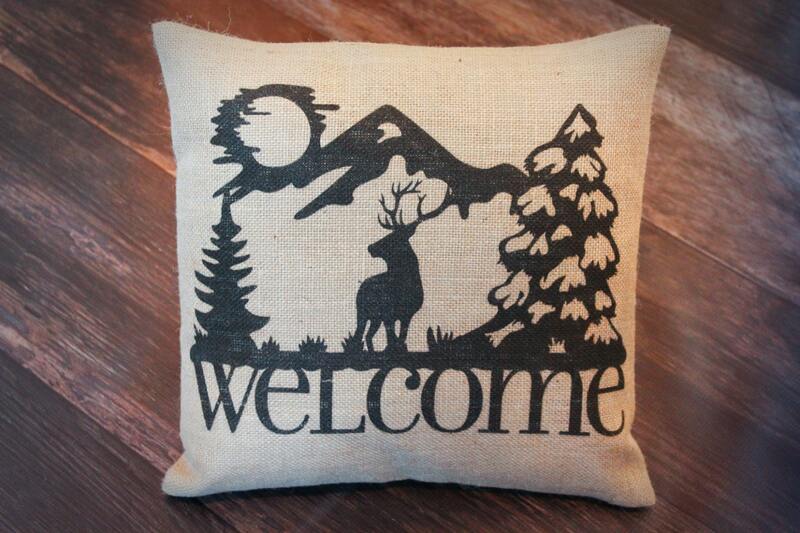 This is also a unique and thoughtful gift for that hard to buy for man who loves the outdoors. 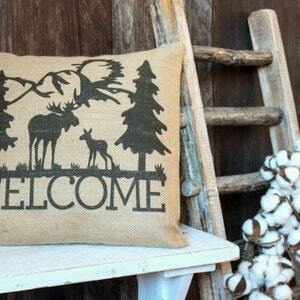 This listing includes both the pillow insert and the burlap pillow case. Choose between 14"x14" or 16"x16". 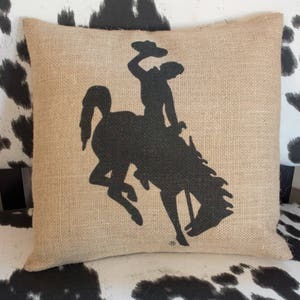 Each design is printed directly onto the burlap with specialty textile ink; no paint, no vinyl, no stickers, just burlap. 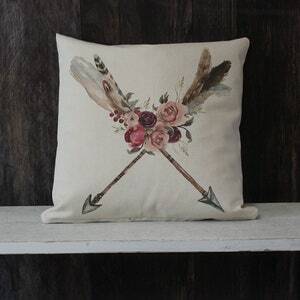 The pillow will be treated with Scotchgard fabric protector before shipping, to help it repel water. If you would like it shipped without Scotchgard, just include a note at checkout. Not all burlap is created equal, I go the extra distance to give you the very best quality burlap, with a smooth even texture. Please hand wash. 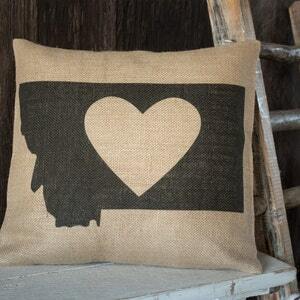 Handmade in at the base of the Bighorn Mountains in Wyoming, by yours truly!